Ms. Joachim has been selected for inclusion in Super Lawyers Rising Stars Edition 2009, 2010, 2011, 2012, 2013, 2014, 2015, 2016. 2017, and 2018. Ms. Joachim practices in family law and criminal matters as well as various other areas. 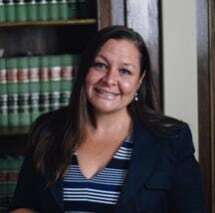 Ms. Joachim is a Registered Family Law Mediator, Parenting Coordinator and Guardian ad Litem.